The solar industry has found a way to make the Mojave Desert a place that people could benefit from with the help of hundreds of thousands of panels. These panels helped to reach a milestone in the industry as the Ivanpah Solar Electric Generating System represents the largest solar thermal power project in the world. 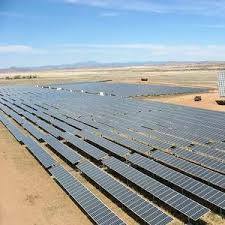 The project is now officially generating solar electricity for Californian users. The 450 high towers gathering produce enough green energy to be delivered to 140,000 houses. Moreover, this way the emission of 400,000 metric tons of carbon dioxide per year is avoided, the equivalent of the disappearance of 72, 000 cars. A project this big, spread on 5 square miles of land in California couldn’t have been accomplished without a well-defined team work of NRG, Google and BrightSource Energy. The investment was not a small one either as the project stands for $2.2 billion dollars. Still, the project meant a boost in the economic field of the area as thousands of jobs were created. 3,000 site workers were employed and they completed more than 8.35 million man-hours. Nearly $650 million in salaries were paid and more will be paid over the next years. The West American power plant project was supported by President Barack Obama that aims to put an end the country’s coal dependence and build a cleaner, greener country supported by solar power, nuclear energy and natural gas.